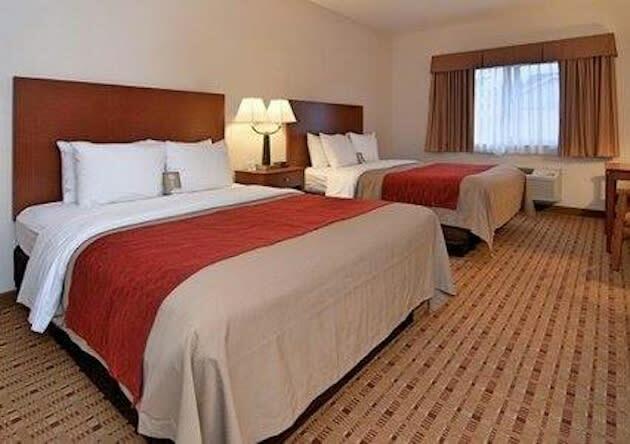 The Quality Inn of Eau Claire is near the University of Wisconsin-Eau Claire off Interstate 94. The 100 percent non-smoking. Conveniently located with easy access to Interstate 94 and downtown in a quiet setting within walking distance from the Chippewa River State Trail, featuring biking and cross-country skiing. This Eau Claire, WI hotel is close to many area attractions, including Carson Park, a 132-acre community park located on an island surrounded by Half Moon Lake. 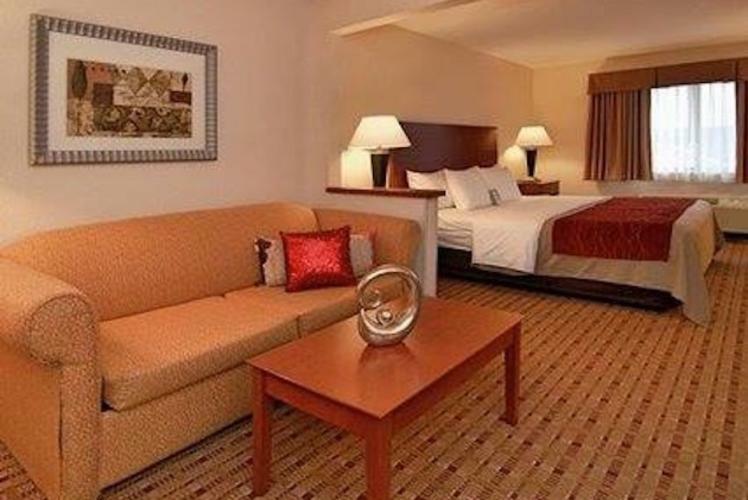 Eau Claire Regional Arts Center, Chippewa Valley Museum, Action City Family Fun Center and Chaos Indoor Water Park are within five miles of the hotel. University of Wisconsin-Eau Claire, Bollinger Fields, Chippewa Valley Technical College, Sacred Heart Hospital and Marshfield Clinic are also in the area. The Chippewa Valley Regional Airport is only 10 miles from the hotel.